To position the Manhattan property as offering the best in borough's downtown style and charm but in the heart of iconic uptown. 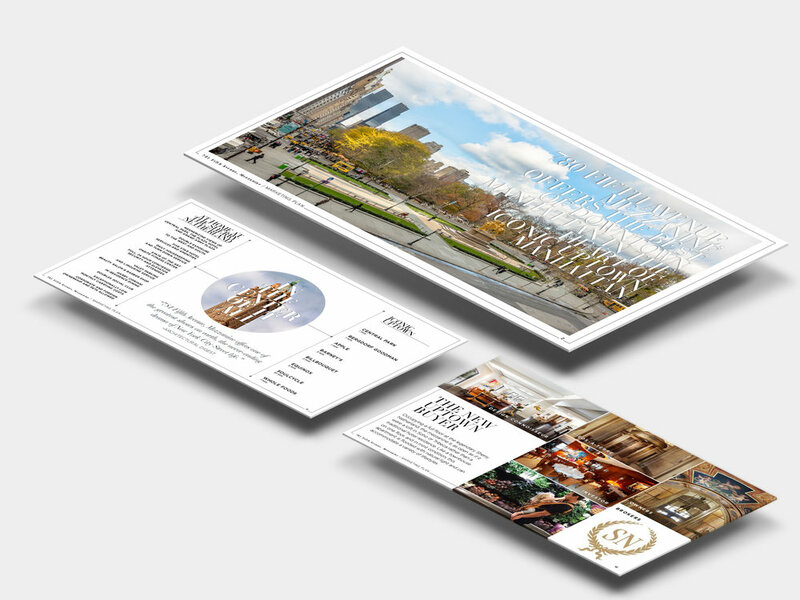 Create design-focused collateral displaying the legendary status of the building and five-star services/amenities. Derive inspiration from the ideal buyer’s lifestyle and the architecture surrounding the property. Collateral includes advertising, social media, and brochures. Maintain a consistent aesthetic across all assets and mediums, including events and PR exposure. To enlighten prospective buyers and reacquaint current residents with both the distinguished prestige and history of the building. To showcase the extraordinary lifestyle of the neighborhood. A bespoke publication, with targeted distribution, spotlighting the luxury amenities and residences of the building. An evening soirée introducing shareholders to the refreshed marketing materials and tour of a suite. On-going digital marketing to expand distribution of the publication and emphasize the desirability of the neighborhood.